Could Product College be an alternative to a CS degree? 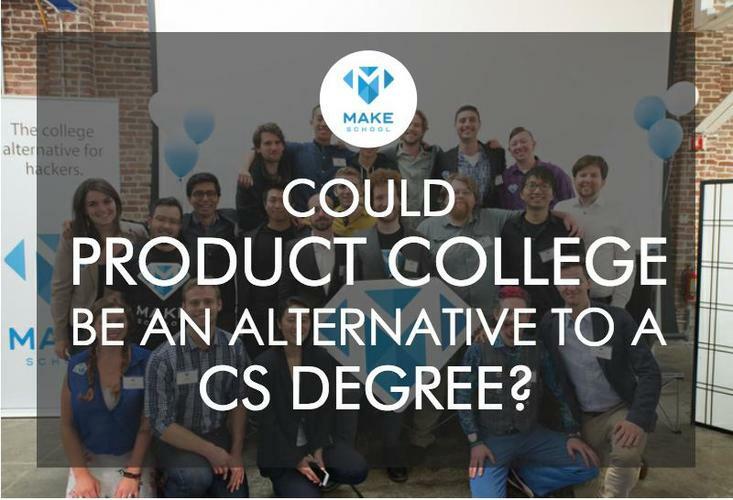 Make School’s Product College is a two-year software development school which touts better preparation for students entering the working world than a college degree. We sat down with Product College Lead Adam Braus to ask about the differences between Product College and a coding bootcamp, how the Income Sharing Agreement makes the program more accessible, and the types of jobs graduates get after 2 years. Plus, find out how Product College ensures that students still get the social and emotional development of a college experience. Pro Tip: Product College application deadline is August 13. Apply now. Tell us about your role at Make School and Product College. I am the Lead of the Product College at Make School. I'm like the principal of the school, which means I oversee the instructors and make sure that students are successful. Can you give us the high-level differences between Product College and Summer Academy? Summer Academy is a sprint, while Product College is a marathon. The first difference is the focus on professional skills. While some Summer Academy graduates do get jobs in iOS development, the curriculum isn’t built for that. Whereas the outcome at Product College is to get a competitive software engineering job at the end of two years. The other difference is in the curricula. Summer Academy is focused only on iOS, while Product College teaches web development and iOS, along with other “minor” concentrations. We have a Devices track, where students can learn how to make a Nest Cam clone or hack the Amazon Dash button using Raspberry Pi, and we just added a Data Science curriculum that focuses on Artificial Intelligence and Machine Learning. Product College gives students a lot more breadth across technologies than bootcamps or traditional CS degrees. The best engineers are usually good at a couple of technologies. What are you looking for in applicants for Product College? We accept applicants who are at about the same level as the traditional coding bootcamp. We expect you to have done at least 100 hours of coding from CS classes, hackathons, and online tutorials and have a strong interest in becoming a software developer. A portfolio of one or more shipped projects really strengthens your application. Because we segment students into higher and lower levels of preparation, we can really accommodate different levels of preparedness. Some first year students even test into second year courses. we’re looking for a positive attitude, strong work ethic and teachability – the ability to take and respond to feedback positively. 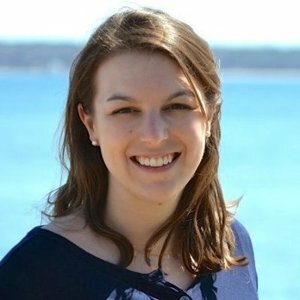 Remember that our program is very intensive and two years long, so if you start with only 100 hours of experience, then you’ll still graduate with 3,000 to 4,000 hours of practice and we’re confident that you'll be able to enter into software engineering at at least an entry level, if not a mid-level position. 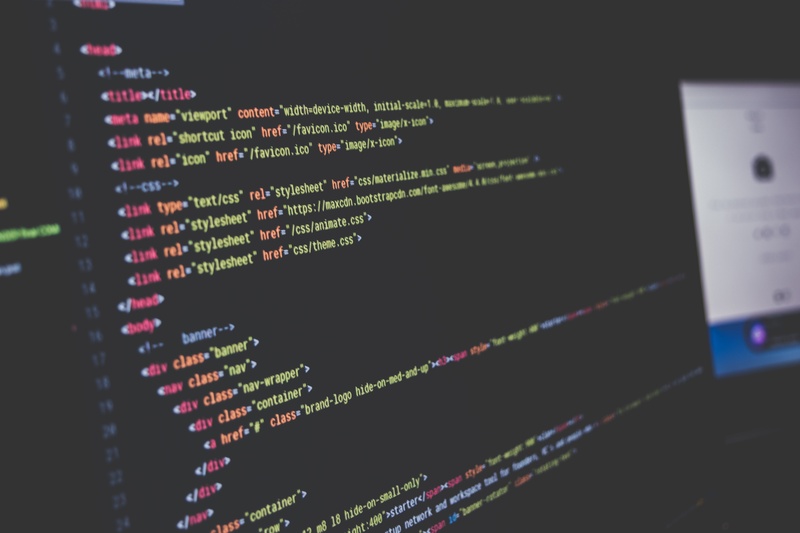 Is there a coding challenge in the application process? We might ask you logic questions, and then if you're doing really well and you know some coding, we might send you a coding challenge. But most importantly, my advice is to apply! No matter your skill level, we have a strict no-weed-out policy. Anyone should apply with eagerness and tell us about your passions and your goals of being a software engineer. We want to hear about the struggles you've had teaching yourself, and our admissions officers will coach you through the preparation you need. If you do have a lot of programming experience, then we can help your career go so much farther so much faster, and for less money than going through a traditional four-year college. We went through Y Combinator and we like to think of ourselves as a “people accelerator” — a Y Combinator for people. Our mission isn't to reject people who don't currently meet some level or standard. Our mission is to help everyone reach their goals in tech. Do you consider Product College a college alternative? We 100% think of ourselves as a college. We think that other colleges are alternatives to us. We're really dedicated to our students’ success and we're flexible with our curriculum to make them successful. We’re not ideologues; we're much more of a lean startup. Anytime we get feedback from our students, we take immediate action. Right now, colleges don’t do that. We’d like to inspire traditional colleges to be more iterative. Traditional college does not prepare you for the working world. The statistics and experiences speak for themselves. 80% of college graduates don't use their major in their subsequent career and 60% percent of graduates don't even use their degree. That's pretty damning. If your goal is to get ready for the job market, then a four-year university rarely actually helps you. Product College really does prepare you for the working world. For example, I personally didn't learn how to write a really solid email until I was about 26 years old in my first professional job. At Product College, we have multiple email classes where we drill students on how to write fantastic, professional emails – and that’s critical for their success. We do all kinds of skills like that around professional skill building from productivity to personal finance. What do you say to critics who wonder if younger students are missing formative “college years” by attending a college alternative? I totally hear you. The college years – from age 18 to 22 – are important to emotional and social development. We have created an environment at Product College that is even better than current four-year colleges. Product College students still have fun and form a community. They live in student housing, have parties on the weekends, etc. Most of our students are between 18-22, and many are 22-29. Having different age groups in our school is our secret weapon. The younger students bring vitality and endless energy to the school, and older students bring more experience and often end up being leaders and mentors in the class. In Product College, students live and work like professionals. We ask them to work hard and to be part of our community where people trust each other. And our students rise to the occasion every time. Oh, students are living in actual dorms? Most of our students live on two floors of one building, so it really is like a college dorm feel. I don't know very much about the students' social life because I'm the principal! But we have a Student Experience Lead, whose job is to make sure that students are supported and having fun too. We fund outings like camping, have a soccer team, and students form clubs (like Running Club and Drone Club). Some of the other longer bootcamps, like 42 and Holberton, don't have traditional instructors. Are there instructors in the Product College classroom? Could you tell us about the new additions to the Product College curriculum? This year we’ve added two major updates to our curriculum. First off, we’ve given every student a personal 1-1 coach who will help them develop an individualized learning plan. We’ve also seen the overwhelming interest in Data Science, Artificial Intelligence, and Machine Learning and developed an entire cycle of courses that students can enroll in at the end of their junior year or during their senior year. Does everyone learn the same curriculum at Product College over these two years? Everyone takes Core, which meets twice a week. In Core, students learn all the personal and professional skills that any software developer or product developer would need to know as an employee. Student choose their tracks (ie. mobile developer, front-end developer, or back-end developer), and then take courses that get them to the level of a professional developer in that track. Every student has a one-on-one coach that they meet with once a week to develop an individualized learning plan. They get guidance about what courses they should pick, what projects they should work on. I think that's a really powerful thing and nobody gets that in traditional college, but that's the time in your life when you really need that. Which programming languages do students learn in those tracks? We teach iOS in the Mobile Development Track. Our Back End cycle is focused on Express and Node. Rails hides a lot of complexities and fundamentals so we don't teach that first, but we do offer one Rails class later. The Front End cycle focuses on React and React Native as well so that all Product College students are able to develop mobile apps. We try not to be too focused on the specific framework that we teach. Getting too attached to one precious framework is generally a bad practice among developers. We want to teach our students to operate at the paradigm level. It doesn’t really matter if you learn Angular 2 or React or Vue.js – they're all front-end frameworks. We choose the most popular one with our business partners in San Francisco. Do students work with real clients and get experience at a company, or are they in the classroom for 2 years? Students have summers off and we urge them to get an internship if they’re ready. We ask students to think about their match/reach/fallbacks. Maybe their match is getting an unpaid internship, their reach is getting a paid internship at Facebook, and their fallback is building their portfolio through side projects or collaborating with a non-profit. There's a range of different outcomes over that summer but our goal is to get people either paid or unpaid internships for that summer. What do your students do after they graduate? Do they become entrepreneurs or get jobs as developers? We love everyone to be passionate about entrepreneurship. I actually teach our entrepreneurship cycle – growth and validation, scaling and raising money, how to do pitch decks, how to hire people, and what it takes to be really a successful entrepreneur. But you need to build those hard technical skills at Product College. That's the opportunity of a lifetime. After graduation, the majority of our students work at small startups or big tech companies. We are part of the Y Combinator network and help our students connect with YC companies. We also have graduates at Apple, Facebook, Google, Tesla, Snapchat, and other large tech giants. Bootcamps say that they teach web development and professional skills in 3 months. Why should a student invest two years at Product College instead of an easy, quick 12 weeks? If you’re older and need to get a job sooner, you shouldn’t come to the Product College. We would recommend you to our partners at Hack Reactor and General Assembly. Product College is meant for people who want to invest at least a year in their education. You can compare Product College with Holberton School or 42, and the difference is that you’re being taught by instructors and getting a one-on-one coach. You're just going to learn slower if you don't have instructors and that support. Coding bootcamps can get wrapped up in their outcomes numbers, and become more committed to those than they are to their students. For us, it’s the other way around. You can't be asked to leave the Product College because you don't perform. You can only be asked to leave the Product College if you don't participate. Why is the Income Sharing Agreement important to Product College? The income share agreement has been part of the Product College vision from Day 1. It aligns us with the goals of our students. If you paid upfront tuition and housing, then the entire cost adds up to ~$90,000, which is based on the Gold Standard in American education until 1987. History lesson: until 1987, the cost of a degree with living expenses was equal to the first year salary you could predictably get after graduation. In 1987, wages were stagnant and the cost of education started going up by 10% to 17% year. Now there's this huge chasm between the income you can expect to make out of school and the cost of an education. We’re winding back the clock and bringing it back to that 1987 benchmark. $90,000 is the salary of an entry-level developer in San Francisco. Colleges hide from their accountability to get students jobs. For us, the Income Share Agreement is a forcing function to provide the best possible experience, but also provide job ready skills. Plus, no one should ever be blocked from coming to Make School if they're a good fit – finances shouldn't come into it. Our goal is to make education accessible. Product College is in San Francisco now – are there plans to expand? Summer Academy has locations all over the world – we even had 30 students in Tokyo this summer! We have no plans to expand Product College to other cities. I envision the San Francisco campus growing to the size of a small college before we would open a second campus. We still have spots available for this fall and applications are open! Read more Make School reviews on Course Report or check out the Make School website for more info.